Lebron James, Kobe Bryant, and Floyd Maywether are one, two, and three on the list. The first NHL athlete doesn’t appear on the rankings until 31st (Sidney Crosby). Below is a list excluding all non-hockey athletes and showing you the most popular NHL players based on search volume. – Not too surprising seeing Sidney Crosby first on the list. 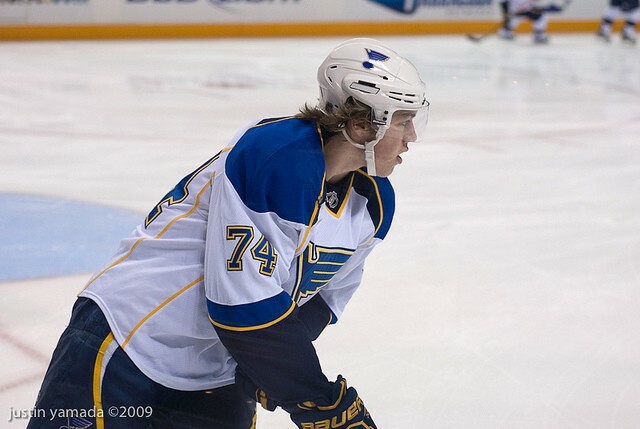 – T.J. Oshie sits in third place solely because of his incredible shootout performance in the 2014 Sochi Olympics. – Phil Kessel and Tyler Seguin are both in the top twenty because Leafs fans have continuously debated their trade. – Biggest surprise is definitely Mike Fisher at number 13. Not sure why he’s so high on the list. Carrie Underwood maybe? – Four players from the Boston Bruins on this list (Rask, Chara, Iginla, Lucic). – Biggest snub is Steven Stamkos. The Lightning forward is a perennial fifty goal scorer when healthy. I can’t believe he’s not on here. Maybe because of a non-traditional hockey market: Tampa Bay.